The news that Arsene Wenger’s storied time at Arsenal will come to an end at the end of this season visibly gave his side a lift during their 4-1 reverse of West Ham at the Emirates last Sunday. The Frenchman will hope that they can carry that momentum back into a season-defining Europa League campaign, with rising European football’s second most significant mug being the club’s last remaining chance to secure Champions League football for next year. His players will undoubtedly be keen to give le gaffer the send-off he deserves after his years served and are a 7/2 shot with Unibet to do so. It would be his first European trophy after a 22-year stint and a fitting footnote to a rare story of loyalty in modern football. Their task isn’t set to be easy, though; they face 5/4 tournament favourites Atletico Madrid in the first round of two in North London on Thursday. Diego Simeone’s men, perhaps unlike this Arsenal side, belong in the premier continental competition given their levels of performances this season, and owe their early exit to a sluggish start and a group that contained Roma and Chelsea. But Atletico, winners of this prize in 2010 and 2012, have real pedigree in this competition and have turned their collective efforts onto it admirably, looking every inch the likely winners since their parachuting into the running at the knockout stage. We’ve picked out a couple of ways that football betting fans can look to glean some profit from this match as the battle for a place in Kiev commences. The first place we’ll start with this one, as we often do, is in the simplest of markets: the win-draw-win one. The hosts are well odds-against across the board, with BetBright offering 6/4 about them making a strong start to the tie, with the visitors quoted at 11/5 with the same bookmakers. The stalemate is 9/5 with Black Type. It’s difficult to sit on either side of the fence on this one, with cases to be made for either side deserving to be slightly shorter than those odds quoted. Arsenal have been impressive on their own turf this term, winning the last six on the spin at home, including when brushing past CSKA in the last round of this competition. Wenger’s announcement of his stepping down was, you feel, surely strategically designed to give his side an extra shot in the arm ahead of this one and it should guarantee a rare good atmosphere at the Emirates, too. That said, Simeone’s side’s style makes them Arsenal’s kryptonite and they’ve been in good order themselves on the road in this competition, beating Lokomotiv Moscow and FC Copenhagen well on their travels this term. They have a regimented, defensively-sound set-up and are the sort of grisly outfit that have traditionally posed such a problem to the sides of the late Wenger era - and not to mention a whole lot of cutting edge with the likes of Antoine Griezmann and Diego Cost in their ranks. Not wanting to get involved on either side of the conversation with a case to be made for either side, the aforementioned draw looks very fair indeed at 9/5. For many of the same reasons outlined in our reasoning for taking a draw on in the win-draw-win discussion, we’re keen to back a couple of goals being scored here. The over 1.5 is a skinny 1/3 with William Hill, while over 2.5 goals is on offer at odds-against across the board, including the 23/20 that Ladbrokes can give you. While this idea was toyed with, ultimately it was determined that the massive nature of this occasion might lead to a cagey start and we don’t want to rely on an outright slew of goals being scored. But with the quality of both sides being established, taking each of them to bag at least once might be worth looking at with 4/5 at Betbright. 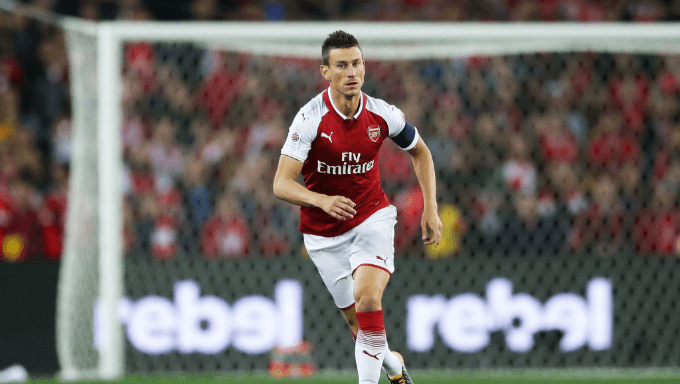 Arsenal are strong at home and are usually value for bagging at least once here, while a strong and canny Madrid side will likely settle for nicking a single away goal for their troubles on a midweek night in the English capital. That makes a wager at one of the top football betting sites approaching even money look like a worthwhile addition to our armoury with a position on a draw already taken onboard.